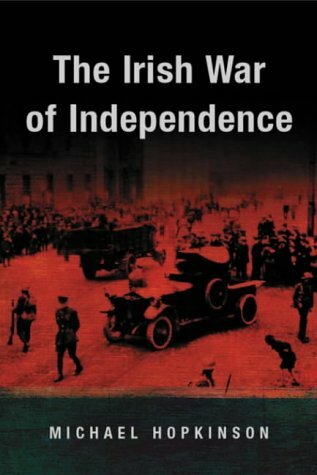 Though widely hailed by British critics as the author of the ‘definitive’ account of the Irish War of Independence (or ‘Troubles’ as they prefer), Hopkinson has found a decidedly more lukewarm response elsewhere and it not hard to see why. While it is somewhat unfair to characterise him as another in a long line of `apologist historians’ for Britain’s presence in Ireland there is no escaping the very British angle he takes in his account of Ireland’s three year struggle for freedom. As a British historian Hopkinson relies heavily, and perhaps naturally, on British records and memoirs, official and unofficial, to illustrate his history but inevitably the political and national bias of these accounts colour the book as a whole. Irish voices on the conflict are notable by their rarity, a rather strange situation for an attempt at a history of the Irish War of Independence. Instead the pages are dominated by British voices, political, military and otherwise. At times it almost seems as if the Irish are mere bit players in some grand, Imperial melodrama played out in the hallowed halls of Dublin Castle, Westminster and Downing Street with little more than walk-on parts. Where the Irish do appear it is usually with a wealth of pejorative adjectives or disparaging remarks displaying the author’s little understanding or empathy with those opposed to British rule in Ireland. As the book goes on it becomes ever more apparent that Hopkinson’s real sympathies – if not agreement – lie with the British side, and though he does bring out the widely held racist views of official Britain towards the Irish people, from government ministers to army generals, it does little to dispel the overall impression of a certain one-sidedness in his account. The overwhelming view from ‘The Irish War of Independence’ seems to be one predicated on the belief that the independence of Ireland came about as the result of actions, or inactions, by the British rather than anything the Irish did. That it was independence by default and if only the British had done things differently then there would be no independent nation of Ireland today. That may be a thesis that suits the world-view of a British audience but I suspect it will have little or no resonances with an Irish or international one.